Connecting your printer to the Internet allows your employees to print from virtually anywhere. However, it also exposes your network printer to foreign invaders such as malware, spyware, and fatal viruses. Is your printer safe from…PewDiePie? PewDiePie is a Swedish comedian with a massive YouTube following. 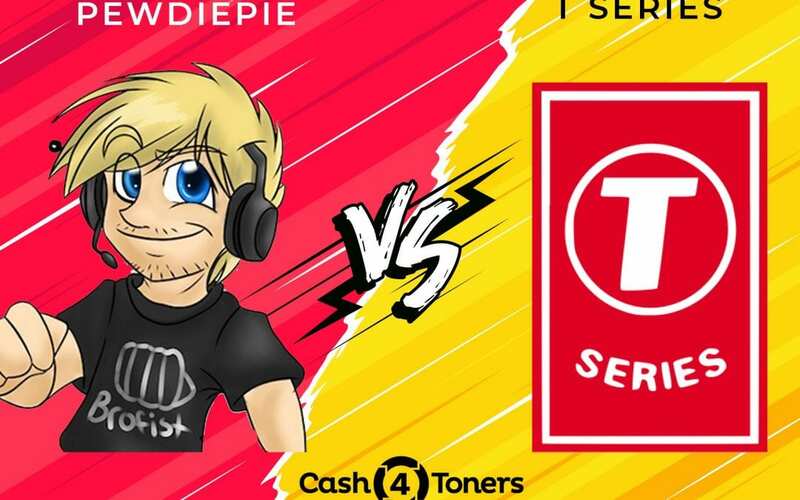 A clever PewDiePie fan hacked into 50,000 internet-connected printers earlier this month. Unsolicited printouts spewed from printers across the UK and Canada. 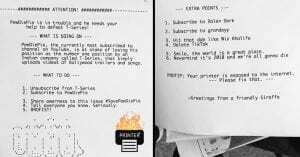 The printout stated, “PewDiePie, the currently most subscribed to channel on YouTube, is at stake of losing his position as the number one position.” A list of instructions encouraging readers to exact revenge on rival T-Series channel followed. PewDiePie’s channel held the distinction of being the most-viewed YouTube channel from December 2014 to February 2017. Consequently, the channel has received over 19 billion video views, with over 76 million subscribers. Time named PewDiePie one of “The World’s 100 Most Influential People” in 2016. A copy of the hacked printout. PewDiePie’s most watched channel status is in jeopardy however. Upstart Indian music video channel T-Series is approaching the 75 million subscriber mark. As a result, PewDiePie’s “Bro Army” has mobilized. His fans are actively urging non-believers to subscribe to PewDiePie’s channel and unsubscribe from T-Series. PewDiePie himself faces the losing battle with tongue-in-cheek bravado. He uploaded a humorous T-series diss track in response last October. Born Felix Arvid Ulf Kjellberg, PewDiePie is the son of two wealthy Swedish business executives. PewDiePie devoted a large part of his early career to playing video games. As a result, Pew Die Pie became best known for his Let’s Play commentaries. He is now mostly known for his comedic — and often controversial — YouTube videos. His use of profanity and politically incorrect language — as well as his off-color comments about the mentally handicapped, people of color, and Jews — have prompted quick apologies from PewDiePie. PewDiePie issued apologies for misogynistic comments and insensitivity toward people struggling with addiction earlier this year. The Hacker Giraffe claimed responsibility for the PewDiePie printer hack. 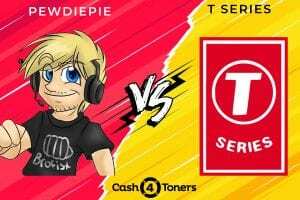 The real story here isn’t about PewDiePie losing his number one spot to T-Series. It’s about the vulnerability of networked printers. TheHackerGiraffe, a PewDiePie fan, claimed responsibility for the printer attack. 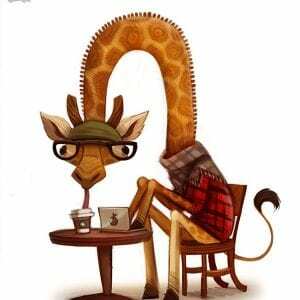 TheHackerGiraffe took advantage of an open network port available on hundreds of thousands of printers worldwide. This security loophole allows hackers to capture or manipulate print jobs, access the printer’s file system and memory, and even cause physical damage to the device. TheHackerGiraffe told The Verge he got the idea for the hack while browsing a repository for Internet-connected devices He claims to have found 800,000 available printers, and decided to attack 50,000 of them. Good advice, Mr. Giraffe. Got any surplus toner you want to unload?